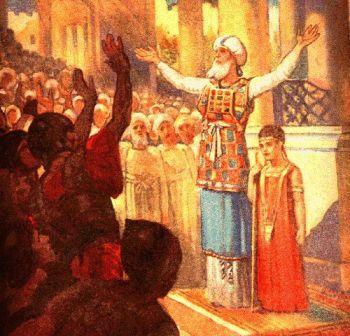 Old Testament - Eventful readings today in 2 Kings 11 for the coming of a 7 year old king of Judah, Joash! Below are 2 images for 2 Kings 11 verses 13 & 14 - "When Athaliah heard all the noise made by the guards and the people, she hurried to the LORD's Temple to see what was happening. And she saw the newly crowned king standing in his place of authority by the pillar, as was the custom at times of coronation. The officers and trumpeters were surrounding him, and people from all over the land were rejoicing and blowing trumpets." Very cool that in 2 Kings 12 Joash is passionate for the repair of the Temple in Jerusalem. 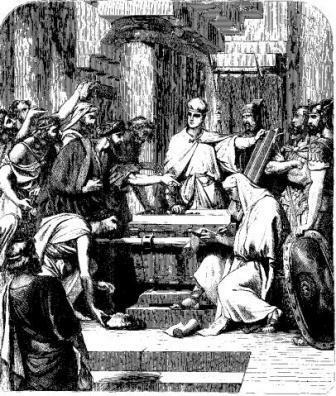 2 Kings 12 verse today 9 tells us - "Then Jehoiada the priest bored a hole in the lid of a large chest and set it on the right-hand side of the altar at the entrance of the Temple of the LORD. The priests guarding the entrance put all of the people's contributions into the chest." New Testament - Today's readings in Acts are important in that Paul is beginning his work of building the church in Corinth through his ministry! 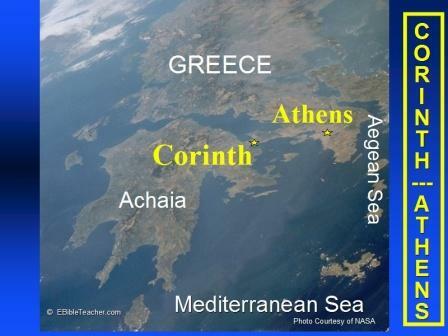 We of course are very familiar now with Paul's letters of 1st and 2nd Corinthians - today we get a glimpse of how Paul's relationship with the city of Corinth began. Verses 9 through 11 let us clearly know that the Lord was very involved in Paul's ministry in Corinth - "One night the Lord spoke to Paul in a vision and told him, "Don't be afraid! Speak out! Don't be silent! For I am with you, and no one will harm you because many people here in this city belong to me." So Paul stayed there for the next year and a half, teaching the word of God." Per Tyndale's One Year Bible Companion, "Corinth was the political and commercial center of Greece, surpassing Athens in importance. It had a reputation for great wickedness and immorality. A temple to Aphrodite - goddess of love and war - had been built on the large hill behind the city." Psalms - I love the imagery today in Psalm 145 verse 9 - "The LORD is good to everyone. He showers compassion on all his creation." Do you believe that God is good to everyone? 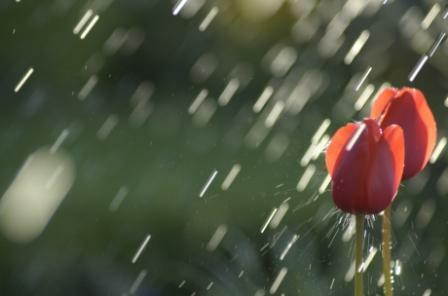 Do you feel God's compassion being showered upon you right this very moment? Proverbs - Proverbs 18 verse 1 is a great reminder that God created us to be in community with others! "A recluse is self-indulgent, snarling at every sound principle of conduct." Are you in community with others? In what ways? Are there some ways that God might be calling you to go deeper into community with others? Are you part of a church community? Think God would want you to be part of a church community? Why or why not? Two things really caught my eye in today’s readings. 1)	How quick we are to call others out on a perceived sin when we are in sin ourselves. 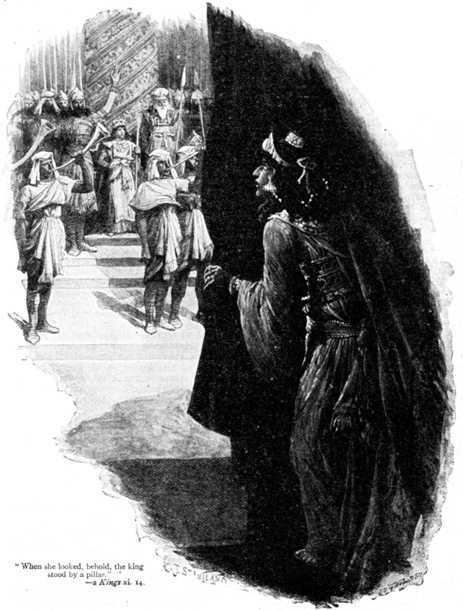 Athaliah, Joash’s grandmother, who had all of his brothers killed when her son Ahaziah died so she could be large-and-in-charge, didn’t recognize her own BIG shortcomings. But then again she was the daughter of King Ahab of Israel so she learned her lessons well. Calling out “Treason! Treason!” when she realized the grandson she didn’t kill was being anointed King of Israel seeing that she was a “serial” killer herself, hmmm! So much for family values. 1Joash began to rule over Judah in the seventh year of King Jehu's reign in Israel. He reigned in Jerusalem forty years. His mother was Zibiah, from Beersheba. 2 All his life Joash did what was pleasing in the LORD's sight because Jehoiada the priest instructed him. In other translations, it makes clear that as long as the priest Jehoiada was living and instructing Joash, the King did what was pleasing in the Lords’ sight. I have had this argument or debate going on inside of me for sometime and it is about self-control and boundaries placed on and in oneself because of self-restraint and not because of external controls and restraints. When external controls are removed and the person has not developed any internal controls, they will go hog wild, something I see all the time in my place of employment, a College. When not too few students are touring the school with their parents they look like little angels, but when the semester begins and they are dropped off on their own, well …! What happened to the spiritual quidence of Jehoiada? When Josah relied on the strength of a bribe, the handing over the sacred objects three kings before him had amassed to quell the passion of King Hazael, instead of relying on God to being Judiah’s strong tower, was Jehoiada dead? Was his assassination by his trusted advisers triggered by angry reactions from what he had given to the enemy? These are all rhetorical questions. 12 But when Gallio became governor of Achaia, some Jews rose in concerted action against Paul and brought him before the governor for judgment. This reminds me of a comment made about the devil waiting for a more opportune time to tempt Jesus after His wilderness experience. It seems the Jews were waiting for the right political climate to pounce on Paul. Goes to show the more things change the more they stay the same. The Devil never sleeps he is just waiting for a door to open. Luke 4 13 When the Devil had finished tempting Jesus, he left him until the next opportunity came. This is a great Psalm to use in studying God’s attributes and to remind and rehearse within your hearing the character of God. 1 A recluse is self-indulgent, snarling at every sound principle of conduct. Couldn’t John the Baptist be considered a recluse? I’m not sure if the recluse that comes to mind in our thinking is the same recluse mentioned in this verse. David, before he became king, while he was still a shepherd boy in his father’s house could be considered isolated ‘cause he was hanging out with the sheep. 1HE WHO willfully separates and estranges himself [from God and man] seeks his own desire and pretext to break out against all wise and sound judgment. I certainly do feel thats Gods compassion is being showered at this very moment and into everyones future. There must be a power (God) that is steering our cars whether it is for a long or short life it is him that we must live our life for.